A unique majestic sanctuary for visitors to come and experience rejuvenating magical moments in mineral-rich and natural bio-thermal hot spring pools. Slip into the soothing warm water and feel your worries wash away as you rest and revive. Fill out the checkout form accurately as the card will be registered using the information provided. You will receive the order confirmation through the email address provided in the checkout form. Fill up your application form. Collect your card at the park using the printed Tax Invoice. Malaysian rate is applicable for MyKad/MyKid/ I-Pass/ Multiple Entry Visa holder only. The non-Malaysian rate is applicable for Single Entry Visa. Card will be processed/activated within 5 working days of sign up. Please present the identification card for application purposes. Card is valid for 12 months from the activation date. 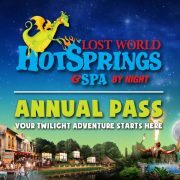 Lost World Hot Springs & Spa By Night Annual Pass Members must present original MyKad, MyKid, iPass, iKad, Multiple Entry Visa/ Single Entry Visa for verification purposes during entry. Free access to Lost World Of Tambun 6:00pm till 11:00pm daily. Entry wristband(s) redeemed are valid for ONE-TIME ENTRY per day and is strictly non-transferable. Events and activities may be cancelled at the discretion of the management without prior notice. 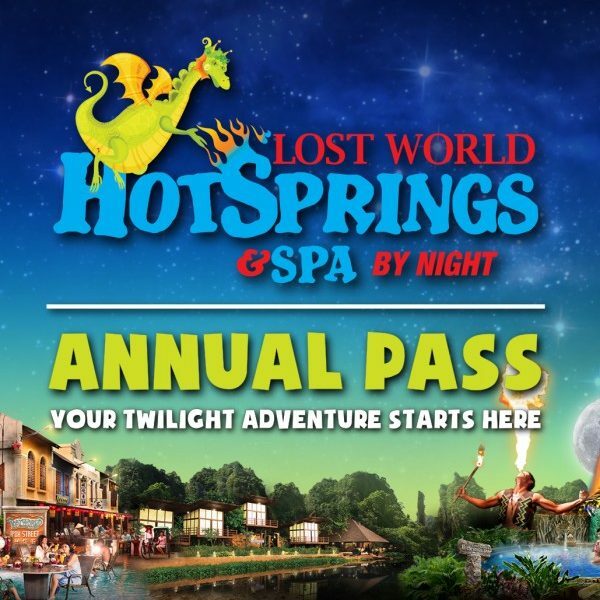 Lost World Hot Springs & Spa By Night Annual Pass will be considered void if terms & conditions are breached. 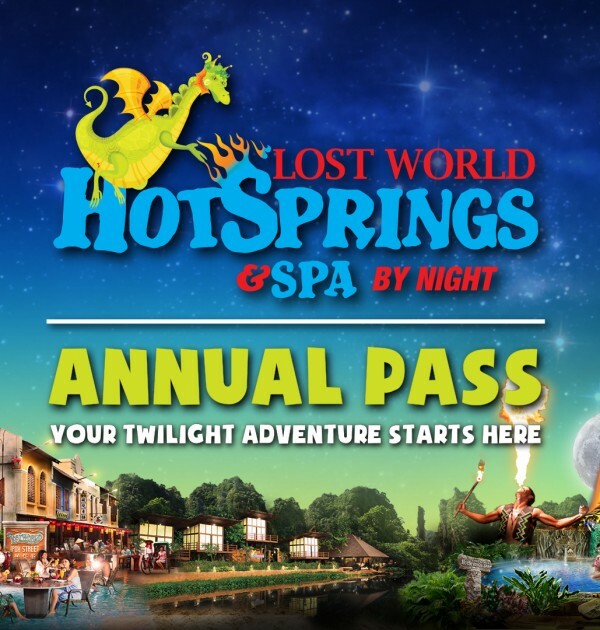 Use of Lost World Hot Springs & Spa Annual Pass is subject to the terms and conditions as specified by the management of Sunway Lost World Water Park Sdn. Bhd. Read full terms and conditions of Pass. Closed on Tuesday, except on Malaysian school & public holidays. 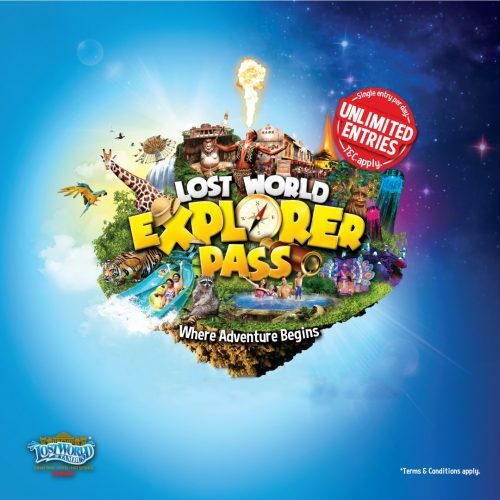 © Copyright 2019 Sunway Lost World Water Park Sdn. Bhd. (240342-P) ALL RIGHTS RESERVED.